Saving money is one of the most important steps you can take in personal finance to build wealth. While it may seem difficult to do at times, the benefits of paying yourself first every month are too great to ignore. For example, a person who saves (and invests) $3,000 per year at the age of 20 … could build a collection of assets totaling almost 1.3 million dollars by the age of 60. This assumes an 8% average return over those 40 years and that continued ,000 annual investment. Having extra savings available could also open up more wealth building opportunities like starting a business or buying rental properties. Anytime you can use your own money without taking out a loan that pays interest can be a great wealth building tool. On a much smaller scale, having built up savings can open up many other opportunities … like giving yourself a loan. For example, instead of taking out an auto loan … you could save up the money and pay cash for your next car. This would eliminate any interest being paid out to your lender. Recently my wife and I came across a situation where we decided to give ourselves a loan. Our middle son needed braces and we decided to leverage some of our assets in order to optimize our spending. Unfortunately, the dental plan that we have isn’t the best when it comes to paying for things like braces. When our oldest son needed to get braces a few years ago, we paid for them over 30 months through a 0% loan from the orthodontist. As much as those payments hurt, his teeth look fantastic and we paid them off in less than 3 years with no interest. About a year ago, we were told our middle son would need braces. Dang! We just finished paying for our oldest sons braces and now were tasked with paying for them again! Last time we borrowed the money from the orthodontist at 0% … which was still a decent option this time. But this time around we decided to be a little smarter with our spending and optimize this expense. Based on several reasons, we decided to pay his braces this time by giving ourselves an interest free loan from our emergency fund. By doing this, we got a 5% discount on the total cost from the orthodontist and were able to save a lot more through travel hacking. Overall, we ended up saving over $1,000 on this expense this time around. The total cost of the braces would have been $6,445.75 if we would have financed the payments over 30 months through the orthodontist. Instead, we were able to save 5% on the overall cost by paying in full. That is a savings of $322.29. So basically, we are earning back a bigger return on our money … instead of letting it sit in our emergency fund earning .75% return. Leaving our money in the emergency fund account would have earned us $45.92 per year or $114.81 over the course of 30 months. Note – The total savings is the amount we are savings ($322.29) less the amount we would have earned in interest ($114.81) by leaving our money sit idle in our emergency fund. We saved over $200 by paying the entire amount on the braces, but our real savings came from using a travel rewards card to earn points. The total cost of paying for our son’s braces was $6,123.46, after the 5% discount was applied. I really hate forking over a bunch of money to pay for things like this … especially something that is over $6K. But fortunately there was a silver lining, which came in the form of travel rewards. Since we had the funds available in our emergency fund to pay the entire bill, we decided to do a little travel hacking to optimize our spending. We were able to open a new travel rewards card that was used to pay for our son’s braces. The entire cost covered the minimum spending requirements for the card, which earned us 80,000 bonus points! With those bonus points + the points earned from our $6,000+ spending gave us 86,123 rewards points! This was all from spending we would have done regardless … except over 30 months instead of 1. If redeemed for cash, those points are worth at least $861.23 at $.01 per point. In reality, those points are likely worth $.02 each if we are able to use them for travel, which is over $1,700! Note – Since we know for sure we can redeem these points for $.01 each … our total savings from travel hacking this expense is $861.23. 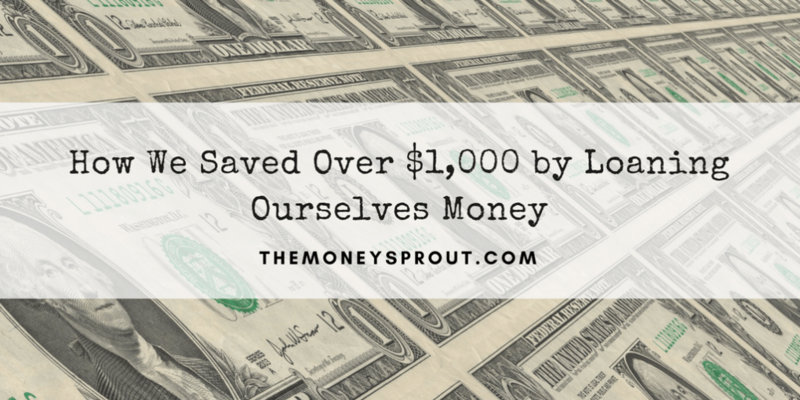 By giving ourselves a loan from an emergency fund, we were able to earn back $1,068.71 on our money. That is a 17.5% return on funds. Of course, if my son hadn’t needed braces we wouldn’t have had to pay over $6,000 out of pocket. But that is not the point. This was an expense that had been planned for over 6 months. Up until a few months ago, we were just going to take the 30 month payment option from the orthodontist. That would have kept our emergency fund intact, but probably wouldn’t have been the best use for our funds. As I mentioned earlier, leaving our funds as is would have earned us about $207 in interest. Not nearly as much as what we ended up earning. Now that the braces have been paid for and our credit card paid off, it is time to start our loan. We want to make sure to still pay ourselves back on this money. Starting next Month (March 2018), we will start paying off our 0% interest loan of $6,123.46. We will pay $204.12 per month over the next 30 months. The only other thing we need to decide with the loan payback is figuring the best option for earning interest on our emergency fund dollars. The remainder of our unused emergency fund is still earning a dependable (but low) rate of .75%. Have you ever given yourself an interest free loan to save on expenses? 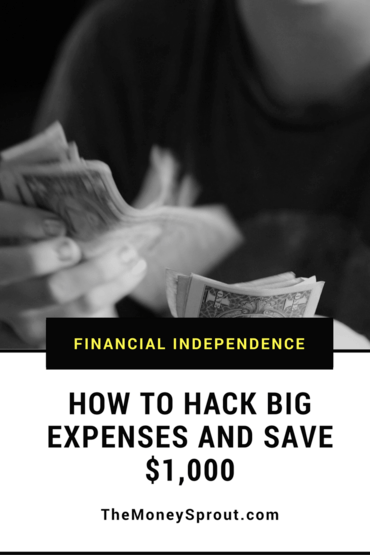 What about travel hacking large expenses that can cover the entire minimum spend?